I'm sure this has come up before and has a simple explanation - hopefully a fix? A map I've been working on is nearly complete. 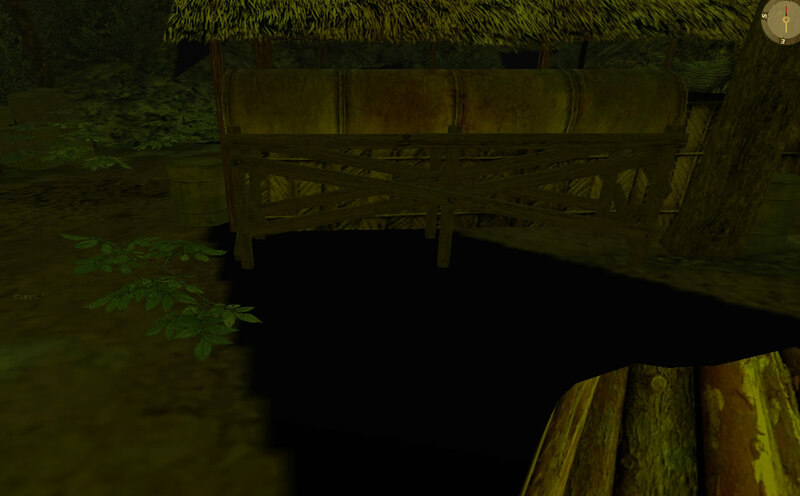 The map was originally generated from SWAMP - so it an edit of a duplicate map. I did another phase of editing which was mostly removing unwanted trees and bushes from another area of the map. But now, when I test in editor or in the finalised map, I see black voids in certain areas. no light. No texture. Just black and different sizes. Is it something to do with the lightmaps? Any ideas would be awesome - thank you! Thanks for your reply xhc. I found the Lightmaps panel (from looking in the Ptero help file) but cannot figure out how to regenerate the lightmaps. The 'Regenerate' button does not seem to create anything new in the ldt folder. First of all, press F7 to see if it's a lightmaps' problem... If the black spots disappear... It is! I'm pretty sure the lightmaps of your terrain are corrupted in fact. Next, select your terrain only and open your lightmaps panel > LMs > Compute selected... 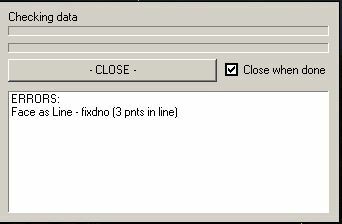 In the window that will popup, keep the default settings and start the calculation for a first result. You will have to play with the values for different results (size, density, details,...) but be careful because if you go "too far" with them, strange results may appear, like...black spots or even invisible polygones on your terrain! - Never "Compute all" (it creates too much troubles). - If you don't like the result, press "Delete selected" or restart the calculation directly with other values. Next, select your terrain only and open your lightmaps panel > LMs > Compute selected... In the window that will popup, keep the default settings and start the calculation for a first result. You will have to play with the values for different results (size, density, details,...) but be careful because if you go "too far" with them, strange results may appear, like...black spots or even invisible polygons on your terrain! - Normaly, when the Editor finds such errors (Face as Line), another popup window tells you you can skip those errors and compute the other lighmaps anyway > click on "yes"... Usually it will work and you won't notice something wrong BUT... Sometimes and depending of the number (and kind) of those errors, the editor will never be able to calculate the lightmaps and you will probably have to "kill" the Editor in your tasks manager! Unfortunately, in that case, it won't be possible to calculate the lightmaps for your objects or...terrain! - The other solution would be to re-create a copy of your map, with another name, to try to have back an original ldt folder (rename the buggy ldt folder before the new copy)... But be sure you haven't modified your terrain in size for example or the imported ldt folder won't match the terrain > visual bugs. - Or, if you can spot where/what is the terrain file (in your ldt folder), you can try to import the original file (and only) with Total Commander. No, the black areas were not there before the last bunch of edits. The problem did happen once before after I did a bunch of edits and because it was early in the process of mapping, I simply reloaded an earlier SCO and did the edits again. I save my SCO versions a lot so today I have actually reverted back to an earlier SCO and have started to slowly redo those edits. Good news: everything ok so far! I will continue like this and hope it all works out ok. The map is nearly finished! - Normally, when the Editor finds such errors (Face as Line), another popup window tells you you can skip those errors and compute the other lightmaps anyway > click on "yes"... Usually it will work and you won't notice something wrong BUT... Sometimes and depending of the number (and kind) of those errors, the editor will never be able to calculate the lightmaps and you will probably have to "kill" the Editor in your tasks manager! Unfortunately, in that case, it won't be possible to calculate the lightmaps for your objects or...terrain! Interesting. When trying to solve this during the last few days, I never saw the second dialogue window (after the error dialog). So I tried the same process on another test map and it had no errors and I did see the second dialog. So at least I know what you are talking about now. Thanks so much for your support and ideas! I accidently loaded an old ".sco save" file from a map and noticed it directly... But after the loading of my latest and more recent .sco file, I knew I had to check something first and... bingo! Some lightmaps were missing!!! So, my guess is that the latest .sco file created is recording the latest lightmaps files created, to be loaded from the lightmaps folder. But if an older .sco file is loaded and won't find the latest lightmaps files created, those will be simply deleted from the lightmaps folder by the editor! Now, if an older .sco file still finds the latest lightmaps files created, they will be loaded but they may be buggy (with black spots for example) if they have been edited between those 2 different .sco files! If the last "texture lightmap coords plane file" from the latest .sco file (at the moment "x" ) is loaded with the "texture lightmap coords plane file" from an older .sco file (at the moment "y" ), the texture will still be present but buggy if the plane has been edited in the meantime! The "texture lightmap" won't match the "plane coords" anymore! > bug!!! OMG it's like a child who can't find a toy and so breaks all the toys. I think we should only consider those .sco files as "actual" backups, with expiring dates on them... The older they will be, the more "poisonous and toxic" they should be!! !